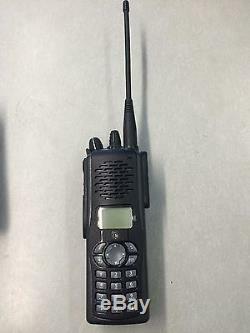 EF Johnson Viking VP-600 7/800Mhz P-25 Phase I&II TDMA Handheld Radio. These options are included with this radio. 800Mhz Analog Smartnet & Smartzone Trunking. 7/800Mhz P25 Phase-I & II TDMA Trunking w/ STAR Roaming (Omni-Link). 1024 Talk Groups / Channels. P25 Authentication / Top & Front Dual Display. 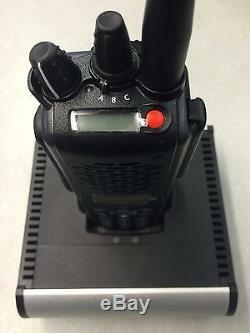 We took these EFJ radios in on trade and they are in GREAT condition, with very little use. These were just sent to EFJ to be completely gone through and upgraded. There is a bit of engraving on the inside metal area of the radio, but does not affect anything. These have the latest firmware. 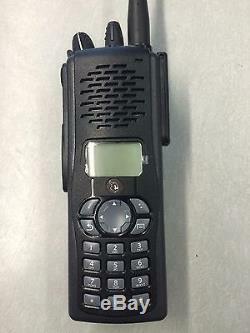 These come with radio, battery, rapid charger, antenna, & belt clip. Top display maximizes viewing while in hip holster. Backlit displays with controllable settings to increase visibility in all lighting conditions. Equipped with multiple visual indicators including battery level and signal strength to check status at a glance. Ergonomic knobs for easier operation with gloves. 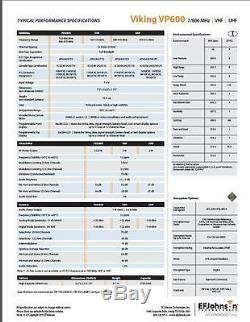 Meets applicable MIL Standard 810G specs. High performance speaker provides 1W rated audio for loud and clear sound across various noise environments. State of the art AMBE+2 version 1.6 vocoder using TIA's latest standards. 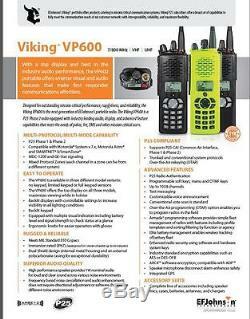 Compatible with Motorola® System v 7. X, Motorola Astro® and SMARTNET® II/SmartZone®. Up to 1024 channels (2048 for Federal). If you need a large qty let us know. We can work with your Federal, State, County or City agency for your purchasing needs. For all your radio & accy needs! 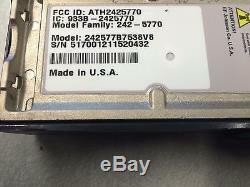 The item "EF JOHNSON VIKING VP600 7/800Mhz P25 PHASE-II TDMA RADIO APCO-25 MOTOROLA APX" is in sale since Thursday, December 3, 2015. This item is in the category "Business & Industrial\Facility Maintenance & Safety\Surveillance & Alarm Equipment\Two-Way Radios".